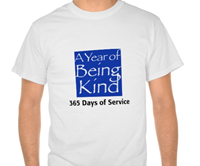 Looking back on the beginnings of #ayearofbeingkind in 2014, I am amazed at how simple it was for me to find ways to be kind, be helpful and to be of service on a daily basis. Of course, having the spiritual gifts of helps, mercy and encouragement help. I still need to stay on the lookout for opportunities God places in my path, each day. God, help me to keep my eyes (and heart) open, each day. 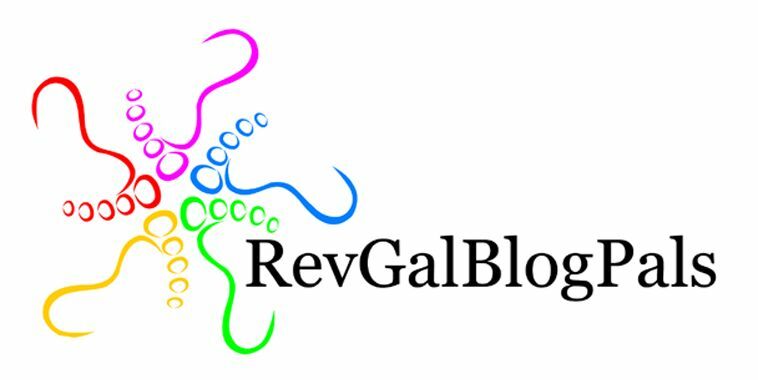 When I started this blog, I had few expectations. (On purpose!) I tried—and continue to try—to have few expectations. With 365 days of service, I want God to bring along things that will sometimes take me by surprise. Get me enthused. Even make me uncomfortable. I know it’s putting myself out on a limb, but I have earnestly prayed to have that happen. The frigid, wintry weather has certainly been interesting the past few days, and I have had no problem finding ways to be of service. I helped a younger person go to and from a medical outpatient procedure today, and hung around for a few hours after returning to their home. (Because of HIPAA and related issues, I am hesitant to say much more about specifics—even though I am not working in any official capacity for this younger person, still. Good, ingrained habits need to be maintained.) This procedure was something I had known about for several weeks. I just didn’t expect the weather to be so uncooperative. However, with the car warmed up and our destination not far away, the trip to and fro was fairly easy. Straight-forward. And the young person is now resting comfortably. This whole process of running to and from a medical procedure (or a doctor’s or dentist’s office) put me in mind of previous times I did much the same thing. I have the spiritual gift of helping (you can read more about helps at this website: http://en.wikipedia.org/wiki/Spiritual_gift ), among other gifts. So, I naturally gravitate towards doing helpful, encouraging things for people. Like taking my elderly aunt to the doctor or dentist, or fetching prescription medication for my older mom. I consider such errands to be opportunities to be kind to relatives. More importantly, being with my relatives (or friends, or acquaintances) gives me a chance to be in relationship with them. Some years ago, I often had my small children with me when I traveled around Chicago on these kinds of errands. Such a wonderful opportunity for my children to connect with their older relatives! Now, my children are adults, or nearly. They still occasionally talk about or remember times when we went to Grandma’s house, or Auntie’s apartment. I am glad I gave them the gift of being with their senior relatives. And to think, all this came from me being willing to drive my car and go on errands. Taking my aunt to a regular medical exam, or picking up something from the pharmacy. Being kind and tenderhearted benefits me too. (See Ephesians 4:32, for further information.) I was not only providing a service, I also was kind and tenderhearted, as the Apostle Paul directs. Plus, I was doing service pleasing to God. That’s been important to me for a long time. Still is, often. I try to be obedient to God, clearing the way for a close vertical relationship with God. And that paves the way for a clear, close relationship to other people, on a horizontal plane. It all works, somehow. Thanks, God! Help me find some way to serve You tomorrow, too. This entry was posted in Uncategorized and tagged #BestOf, 365 days of service, a Year of Being Kind, expectations, gift of helps, helpful, medical procedure, opportunity, pleasing to God, pray, relationship, thanks God. Bookmark the permalink.